In the brief history of Dîner en Blanc International, 2017 has been the most intense year in the sheer number of events. It all comes to an end with three beautiful nights in Asia and Africa, including 2 premieres! The cities of Bangkok in Thailand and Lagos in Nigeria join the grand adventure of Le Dîner en Blanc. Plus, Le Dîner en Blanc - Hong Kong returns for a 2nd edition. 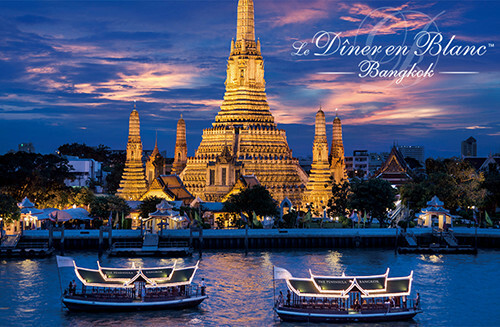 The month takes flight with Le Dîner en Blanc - Bangkok. The capital of Thailand has become an international business hub and a hot spot for arts, fashion, entertainment, and tourism. After a year of mourning due to the King’s passing, festivities are progressively returning which makes it the time perfect for the hosts of Le Dîner en Blanc - Bangkok, Shawnz Neo, Shannon Kalayanamit, and Irin Rerksasarn to introduce this night celebrating elegance and friendship. To be a part of it, sign up for the waiting list at bangkok.dinerenblanc.com/register. 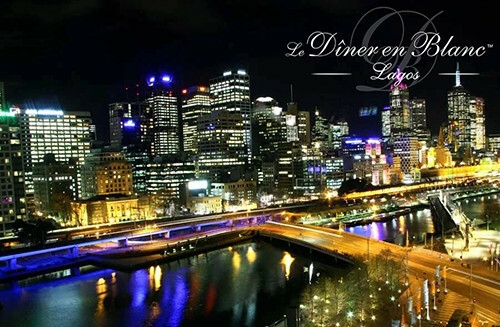 Le Dîner en Blanc comes to Lagos, the largest city in Nigeria, as well as the African continent! With more than 12 million inhabitants within an urban area of 21 million people, the city is also known for having the biggest African harbour and is the principal industrial center of the country. The hosting team of Le Dîner en Blanc - Lagos, composed of T Bernie, Olubukola George-Taylor, Christine Ogbeh, and Tiwa Works, is actively preparing all of the details of the night. To discover their surprises, register at lagos.dinerenblanc.com/register. 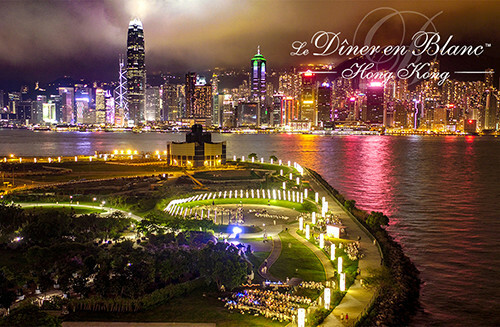 Le Dîner en Blanc - Hong Kong returns for the second year in a row. After last year’s inaugural event that charmed its 800 guests, the hosting team is working hard to create another unforgettable night. Recognized around the world for its multiculturalism, the city of Hong Kong with its thousands of French, British, Japanese, American, and Canadian expatriates, offers the perfect environment for a picnic à la française under the stars. For more details, visit hongkong.dinerenblanc.com.